A hero neighbour has told of the dramatic moment he and another man smashed their way into a burning home to rescue a woman during a New Year's Day blaze that killed three. 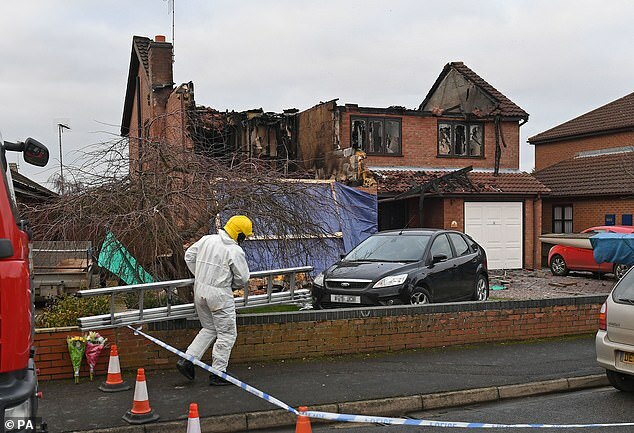 John Holland, who lives opposite, decided to act after seeing flames shooting through the roof of the at the £350,000 detached home in the Lincolnshire village of Kirton, near Boston, at about 3am yesterday. Quick-thinking Mr Holland, 68, described how he and the other resident - who he does not know - spotted the woman trapped on the ground floor, smashed their way in, and pulled her out. He said: 'We came home from my daughter's New Year's party at about 12.45am, and turned in about 1am. 'Then the dog started barking. He was sat there barking at the window. I looked out and I could see flames in the reflections of the houses opposite. 'So I quickly got dressed, went outside, and then I saw the fire in the big upstairs front bedroom window, on the left. 'The flames were coming up through the roof and it was well ablaze. There was no smoke in the downstairs, and we could see a lady in the downstairs window. 'She had a dressing gown on. She had blonde hair and looked in her late thirties. 'She was screaming and shouting "I can't find the key", so we looked around, I picked up a brick and we smashed the plate glass in the porch. We knocked all the sharp edges off, and dragged her through and out. Mr Holland added the woman, who was still in her dressing gown, was extremely distressed and in a state of shock when she was rescued. Mr Holland said: 'I asked her if there were kids in there, and she said there weren't. 'I think if there had been, we'd have all gone straight in, because the fire wasn't downstairs. 'She said "there's somebody upstairs" but then just as she did, the whole roof above the upstairs bedroom caved in. Two other women managed to escape, with one jumping from a window at the back of the house according to residents. 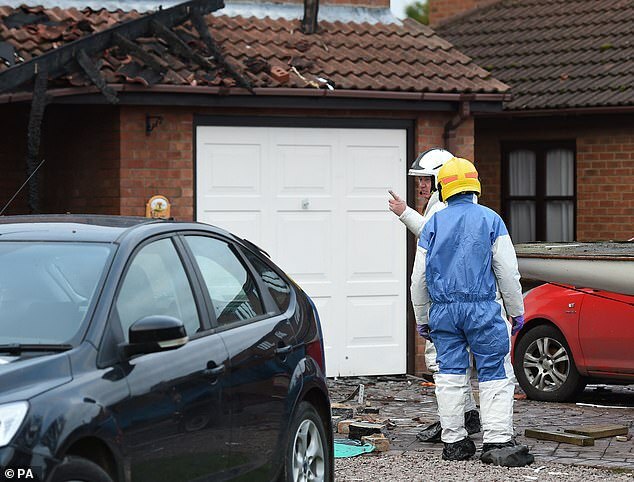 It was initially believed one person had died in the fire, but Lincolnshire Police said on Wednesday that three people had now been found dead inside. 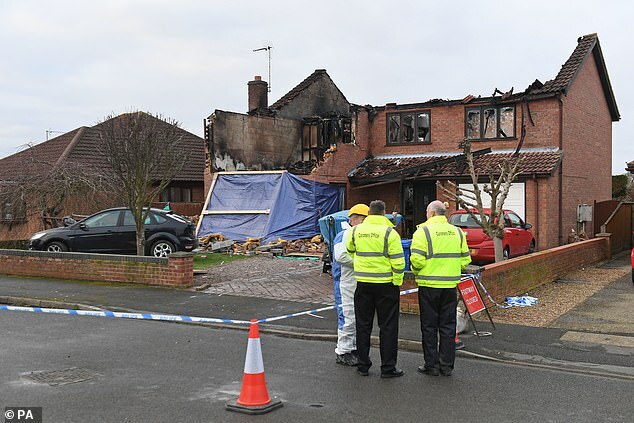 Launching a 'domestic-related' murder inquiry, officers said they believed they knew the identities of the deceased and were not seeking anyone else in connection with the deadly blaze.